While this might not be the question on everybody’s lips, this is still an extremely important question that you should be asking yourself, especially if you work in healthcare, emergency departments or regularly use healthcare services. This is because changes to the design of a facility can be implemented for a number of reasons, ranging from new equipment, new services or perhaps even downgrading certain departments. There could also be changes in processes and research development opportunities behind the reason for the change. Today, we’re going to explore what the future of healthcare facility design looks like, finding out what some of the biggest and most important changes look like this year, keeping you in the know. One of the primary units in most hospitals are their emergency departments, so it shouldn’t come to anybody’s surprise that changes are most likely to occur in this faculty area. In the US, such epidemics as the opioid-crisis and rising mental health concerns mean there’s a dramatic increase in the number of cases that are coming in the doors of emergency departments across the continent. With this in mind, it’s important for medical establishments to manage patients while still treating them with the same level of respect and dignity as they deserve while making room for newer and increasingly required services, such as behavioural and addiction treatments. With more patients staying in EDs overnight, especially since regulations state that patients that are suffering from these kinds of conditions need to stay in EDs to be monitored, other facilities will need to be included into the design of the hospitals, such as bathroom and showering facilities, belonging storage lockers or areas and decompression space. As virtual reality is becoming more and more popular in the mainstream eye, an increasing number of businesses, such as the architectural industry, are starting to use VR as a tool to visualise and plan buildings and facilities, such as hospitals and medical departments. VR technology can help architects and planners to see what existing structures are in place and how smaller, more complex office designs can be created and added upon. This means the existing facilities can continue to operate without hindrance, and architects could potentially be employed from anywhere in the world since they can work using an internet connection and VR headset. If you’ve not yet heard of a ‘microhospital’, there are currently 19 of them operating within the United States and are designed to offer the same services that larger hospitals and emergency departments offer, just for a smaller number of people or local area. The aim is to be able to give people the help they require while taking some of the pressure off the larger facilities. The existing micro-hospitals currently stand around 15,000 by 15,000 square feet and operate on a 24/7 basis. Within the existing hospitals, you will typically find around 5 - 15 individual beds, depending on what other equipment and facilities are in place. Most often, these micro-hospitals are only used for patients who are staying in the hospital short-term, sometimes not even exceeding a day, but can be a holding place for casualties of accidents which can receive treatment before being moved to a larger hospital. Leading the campaign is an architectural company that goes by the name E4H Architecture who has currently designed over 28 micro-hospitals in a variety of locations including Texas, Arizona, Ohio and Louisiana so we can probably expect to see lots more of them this year thanks to the success that the original 18 have had. Every year we see an improvement in the way that healthcare is delivered to the general public, whether that’s relating to the location of the facilities or the speed and capability that service is provided. One suggestion that has been toyed with for a while yet may start appearing on our streets this year is the existence of hospitals in retail environments, such as malls and shopping centers. This consideration goes hand in hand with the micro-hospitals idea above and would be able to supply imagery services, urgent medical assistance and would serve as an information and contact hub for large hospital and healthcare facilities. Of course, this all depends on the individual location and the need to have these facilities for them to be cost-effective, so more research is required before we see this idea become a regular occurrence. “However, there are projects underway in places like Kingston to convert old retail space into medical providing facilities. Additionally, such store outlets and chains, including Macy’s, Walmart and Panera, have been suggested as ideal places to start developing new medical institutions in certain geographical locations” shares Jennifer Wayne, a healthcare journalist for Academized and Australian Help. While the last couple of years has seen an increase and overall improvement in acute care services, growth is still just as essential over the next 12 months. There is an ever-increasing number of services that are moving from inpatient practices to outpatient departments yet despite this; inpatient numbers are still growing in hospitals across the country. To put things into perspective, around 10,000 Americans will turn 65 every day for next 20 years, making it clear that these are required services, and they need to keep improving in order to deal with this steady influx that the government knows is going to take place. 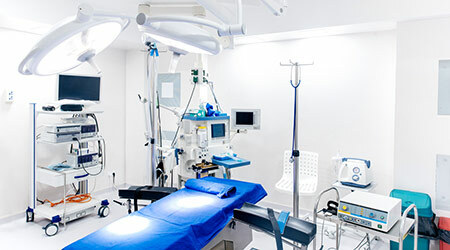 This means considering the design of existing medical facilities to ensure there is space to handle everybody who is going to be coming through the doors, training staff to be able to cope with the pressures and focusing on the design of the buildings to ensure congestion is kept to a minimum while there is a stern priority of health and safety, especially against superbugs and other related illnesses. Telehealth is the practice in which healthcare advice and professional help can be administered to patients remotely, for example, a doctor sitting in their office talking to a patient at home. This has proven to be an effective method for treating relatively minor healthcare problems, but there’s a long way to go until the process is perfect. “Telehealth services have been offered across the country for several years, but the figures are due to jump from 7% last year to nearly double (13%) over the next 12 months, so it’s important for medical establishments such as hospitals and surgery practices to ensure they are able to handle this influx of patients” explains Gordon Lawrence, a healthcare writer for Big Assignments. With an increase in the implementation of telehealth services, medical buildings are going to need to focus on how facilities can be produced to cater for this need. This will include rooms dedicated to making and taking phone calls (as well as video communications), lobbies for transformation, common spaces and even services where patients can come into a hospital to receive virtual assistance if required. There are many changes that are going to take place within the healthcare industry regarding the facilities and the design of future and existing establishments. It’s so important to learn about these changes, especially when you’re in the medical field as you’ll need to adapt how you work in order to keep up.